Winter transforms Little Dolomites: mountaineers meet the ice falls, the climbs of the VAJ, whitened ridges, paths hidden by the snow, solitary animals. For those who love walking in the snow, snowshoeing is organized in Recoaro and the surrounding area, with Cai guides, both day and night. For Hockey fans we are very close to Valdagno, a town known for track hockey. 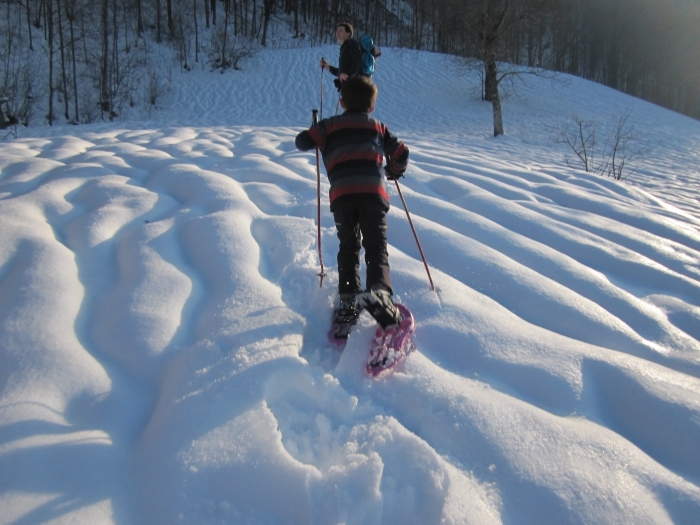 Recoaro is close to Campogrosso, other half for those who want to have fun in the snow! Snowshoeing, alpine skiing and cross-country skiing. Campogrosso full moon evenings are very interesting and attract many tourists. For cross-country skiing contact Centro Fondo “Le montagnole” that offers rings for both technical experts and easy for beginners. Available 28 km, three rings with different difficulties, magical places, fun and health!